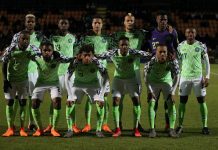 Super Eagles Manager, Gernot Rohr reveals three Super Eagles stars to strengthen the Olympic National Team as they bid to qualify for the U23 Africa Cup of Nations. 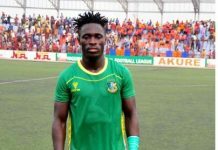 The first-choice goalkeeper, Abubakar Adamu sent off just before half-time for handling the ball outside the area in the first leg on March 20. Francis Uzoho will be drafted into the Olympic squad and Rohr believes it will afford the goalkeeper the opportunity to get some minutes after his well-documented problems with his Cypriot club Anorthosis Famagusta. 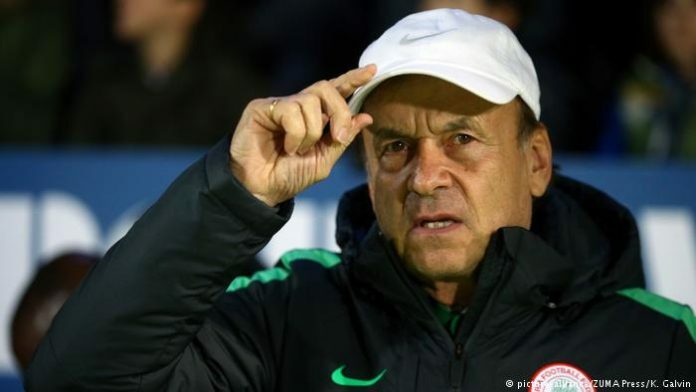 According to Rohr, he said: ”They will have again three players from my 23-man list to go for the victory. We want to go to the Olympics and I will help my colleague Imama, he will have some players from my team. ”Like you know the goalkeeper is not playing so much in his club, they have administrative problems. We want to see him again to make him play again, he did well in the World Cup. He made a mistake, this kind of games are very difficult for a goalkeeper because there is no work to do and when the ball is coming, he has to stay and it can happen. He further said: ”Everybody can make a mistake, even you the journalist can make a mistake, so let’s understand it can happen. We won the game; it is not an important mistake. ”This Seychelles team also deserve to score a goal for their good defensive organization”. 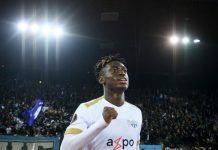 Henry Onyekuru (Galatasaray), Chidozie Awaziem (Porto), Valentine Ozornwafor, Ikouwem Udo (both Enyimba), Victor Osimhen (Charleroi) and Ndifreke Effiong (Akwa United) are the other players eligible to represent the Dream Team. Henry Onyekuru says brace against Siversspor an early Christmas present.